Today I wanted to share with you some cards that really hit home with me. Emily McDowall has been featured on GIGOT before with her cheeky Valentine’s card. 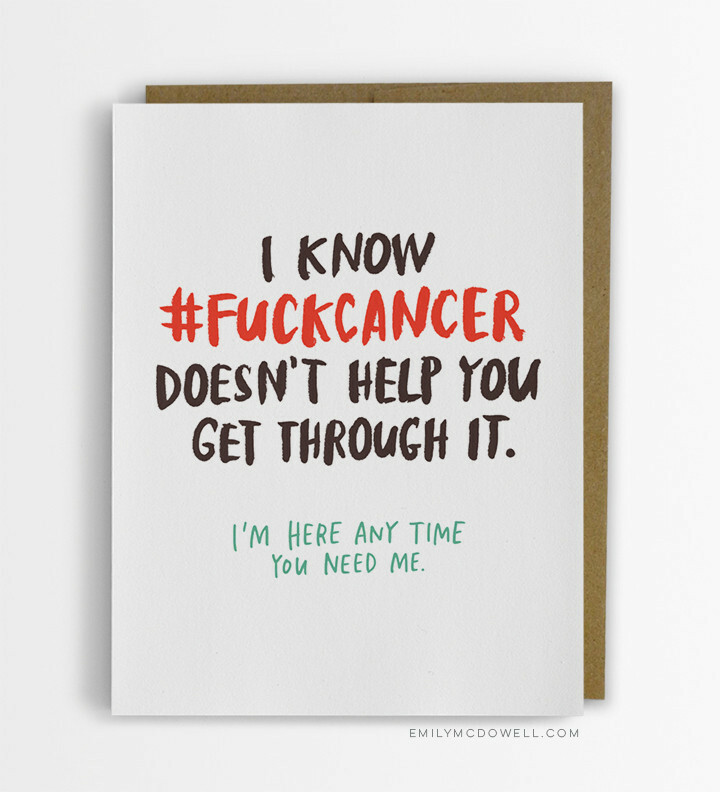 Her new line of cards aren’t necessarily meant to be cheeky and fun, but these sympathy cards do know how to pass over the message in a heartfelt, and just-cheeky-enough way. 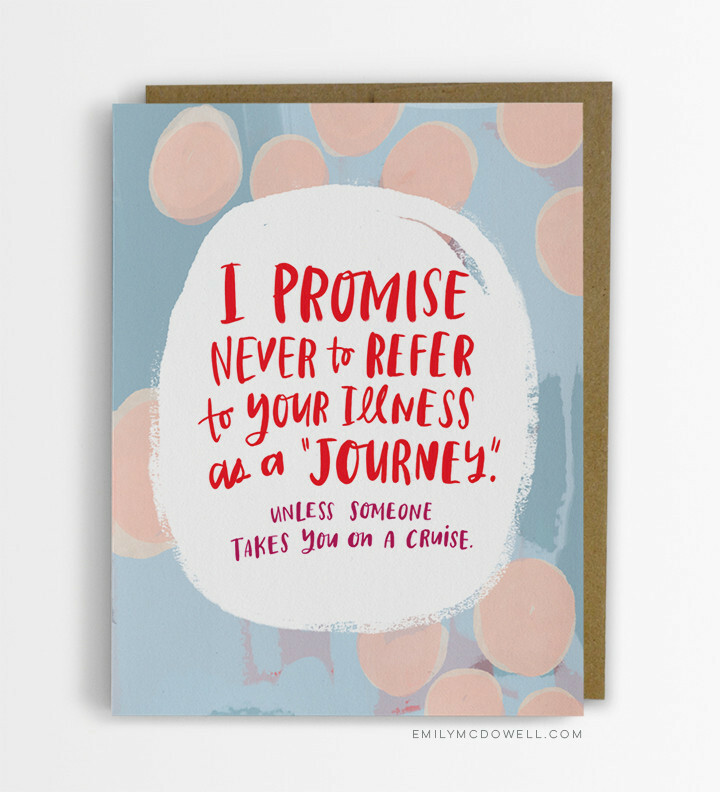 The empathy cards Emily created, find a way to convey that message everyone simply wants to share with a loved one who is seriously ill: I’m here for you and I’m sorry you need to go through this. 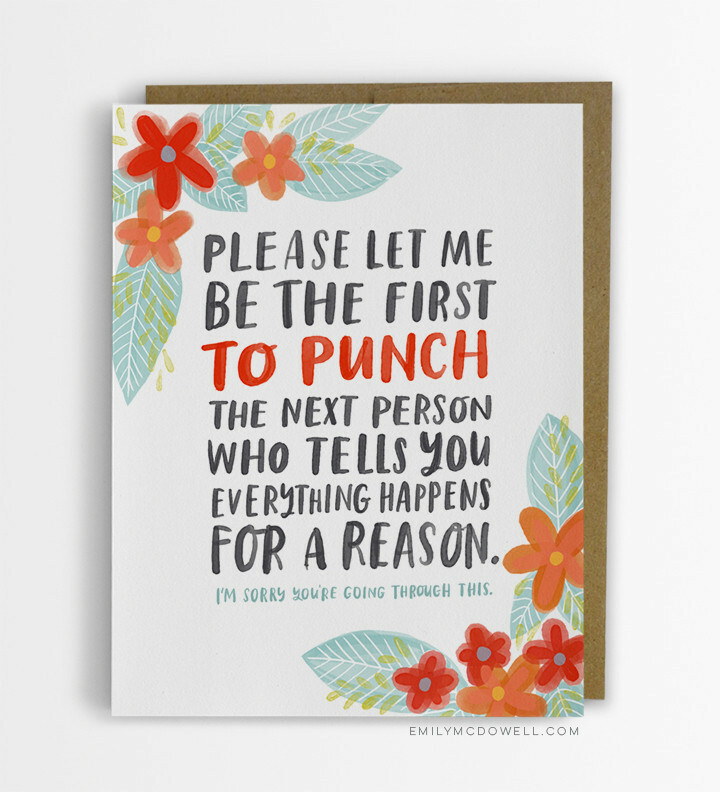 It’s a mystery to me why someone hasn’t made cards with this message before. 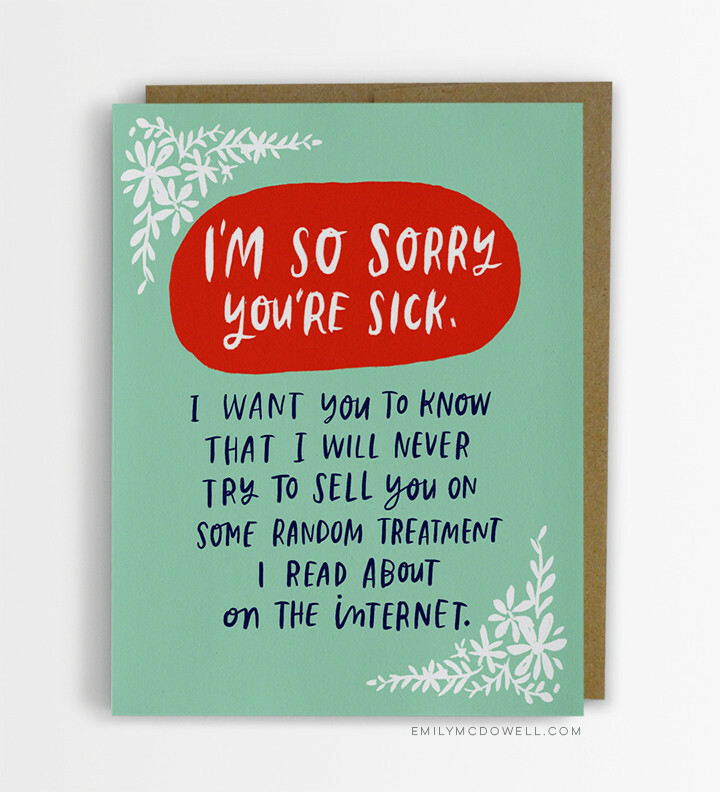 Cards that are not terribly awkward, only ooze sadness, or have the inadequate, way too cheerful message of ‘get well soon!’ . Ugh, when facing serious illness you need serious comforting. And a laugh, if possible. One of the topics heavily discussed in my family is the urge of some people to share about other people’s illnesses. It’s not what you want to hear in general, but it definitely is not helping you in anyway when you are ill yourself. 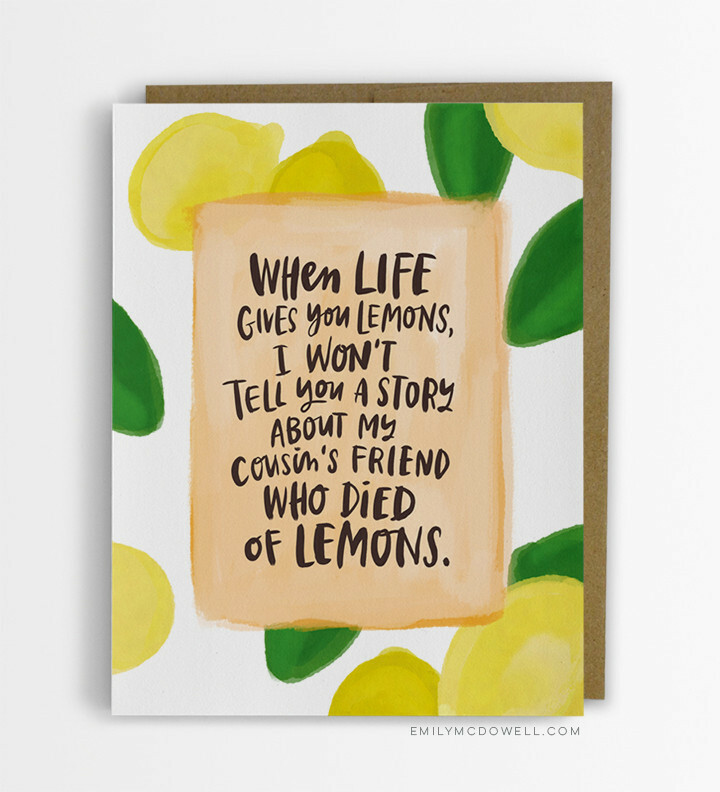 That’s why I definitely want to stock up on the ‘Died of Lemons’ card. Emily puts it this way: “Why is it that when you’re sick with a life-threatening disease, so many people feel the need to tell you about someone they know who DIED OF THE THING YOU HAVE? It’s crazy how often this happens. Not only is it unhelpful, it’s actually quite terrifying. Please, everyone, stop doing this.” Right on Emily, could not agree more. Emily McDowall started out drawing cards in her bedroom, which has since been picked up massively (pretty mind-boggling Press page! 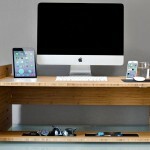 ), and is now a full on lifestyle brand. With printed mugs, textiles, stationary, and having 5 staff members on board, Emily built an awe inspiring business in just 2 years. For those of you who feel stuck, or unfulfilled, or like things could just be better if only XYZ — I want to remind you that so much can happen in just a few years. If I can take what I’ve learned in life, apply it to my passion, and create something from nothing, you can too — whatever that thing is for you. Emily McDowall. I also love love love how Emily shares a lot of her story, blogs filled with creative and business insights, and a quarterly update on the numerous business challenges. For a browse through the vast collection of incredible cards, hit the EmcD online shop. 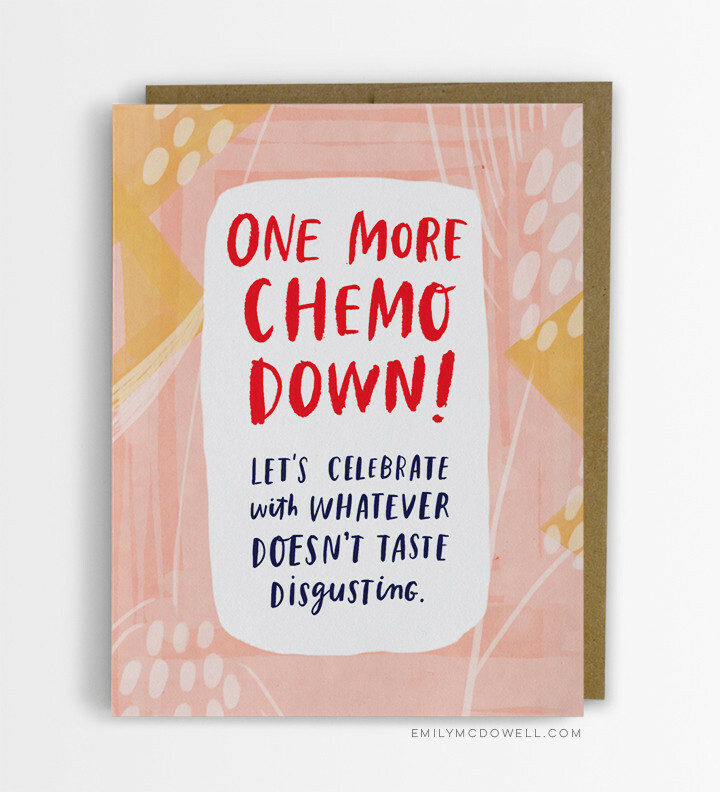 Their Etsy shop is temporarily closed because, well, I’m not the only blogger who picked up on these incredible cards and -yay!- these cards hit home for many. Filed Under: Lifestyle Tagged With: U.S.A. Yes!! I love her perspective so much, and seeing these makes me love it even more. I need to go give her all my money. Thank you for profiling these!